We have just finished an evenings planning ready for the new season at the Worcester Goalkeeper Academy. The plan is to start the Academy on the 26th September 2014 for 12 weeks, with a further 12 weeks planned from 9th January 2015. As per previous seasons the Academy will look to develop both Keepers and Up coming coaches in a fun yet challenging environment. 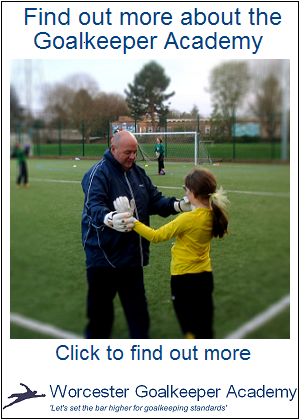 Preparing Goalkeepers fully for the season and for their future progression. We have already had much success, seeing our keepers develop in their local games and with a number now playing at a higher level / professional club academy. We have also seen some of our student coaches move on into club roles in the football league. Come along and try us out. The cost of sessions will be £6 with discounts for purchasing 6 or 12 week blocks.